The Edison Pearlette had never been on my radar before. I like the design and shape a lot, just the way I also think the full-sized Pearl is one of Edison's best designs, but I kept telling myself that the Pearlette would be too small for my taste. But then when they came out with the three new production colors (completely wiping the old material options off the table to freshen things up), I must say that Canyon trail brown... it looked damn fine! 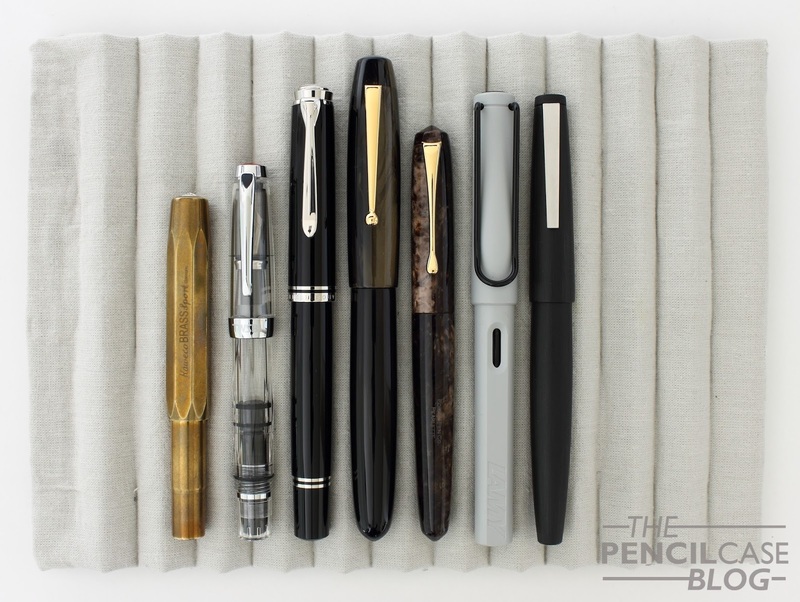 When I came by the Scrittura Elegante stand at last year's Tilburg Pen Show, I couldn't resist. Seeing it in person, really shows the beauty of this little pen. I tried my best with the pictures in this review, but there is nothing like seeing that chatoyance (I know some people dislike using this word, does someone know a better alternative?) in person. Believe me. The Pearlette is -as the name suggests- the little sister of the Edison Pearl. In my opinion, the Pearl is the best design by far from the US based pen maker. But unfortunately the Pearl isn't part of their regular production line, and can only be bought as a custom pen (which adds significantly to the pricetag). 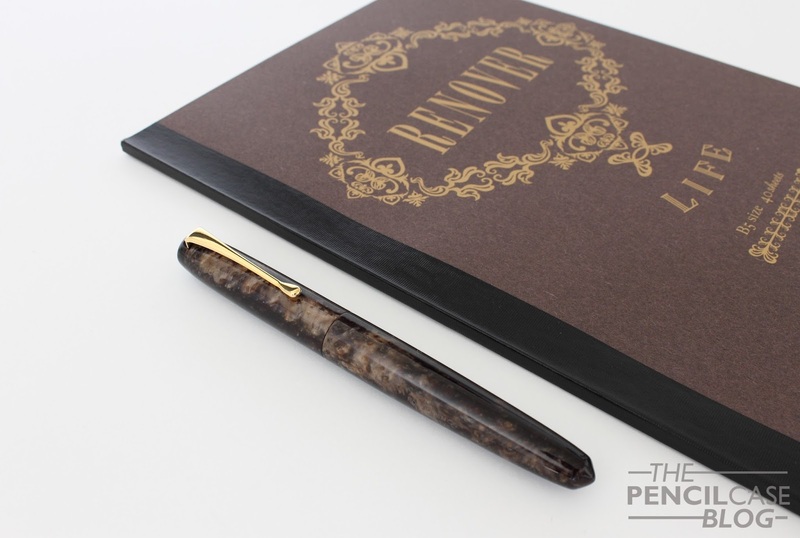 Designwise, the pearlette is a simple cigar-shaped pen with pointed cap and barrel finial. The design is completed with an elegant, curved clip that ends in a teardrop-shaped tip. 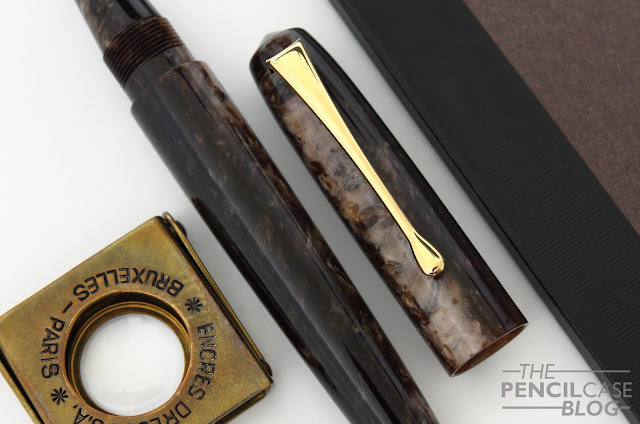 As is common with 'bespoke' pens (Ok, Edison production pens aren't exactly bespoke, but they definitely fit the category in terms of design and overall appearance), there's relatively little trim or detailing to speak of. 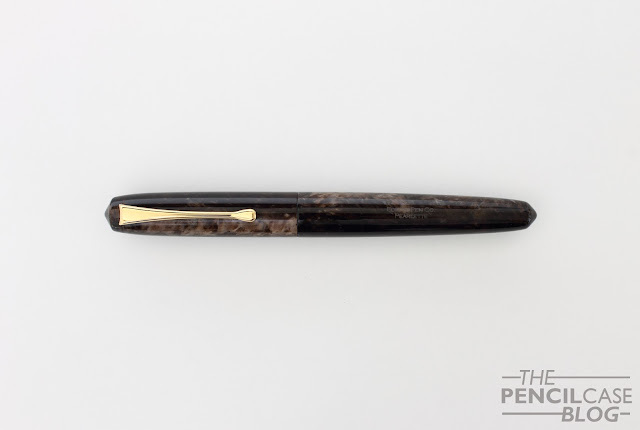 It's a clean and fuzz-free pen. The elegant and petite design, the stunning yet classy Canyon Brown acrylic, and the fact that it actually fits my hand perfectly... This is a fun little pen! Make no mistake though, it IS small. Probably too small for some people. It measures 12.8cm closed, and 11.8cm uncapped. It's relatively thin too, at an average of just 8mm around the section, where it loses quite a bit of girth because of the relatively large step. The all-acrylic construction keeps the weight low as well, with a total of just 15 grams. For me, it JUST fits my hand without dissapearing, but it's quite a bit smaller than I'm normally used to. I can write comfortably with it, in part due to the nicely shaped section which keeps my grip close towards the nib. The step is noticeable, but I never found it bothersome or uncomfortable. Smaller pens in general are somewhat out of my comfort zone, and so is the steel #5 JoWo fine nib. 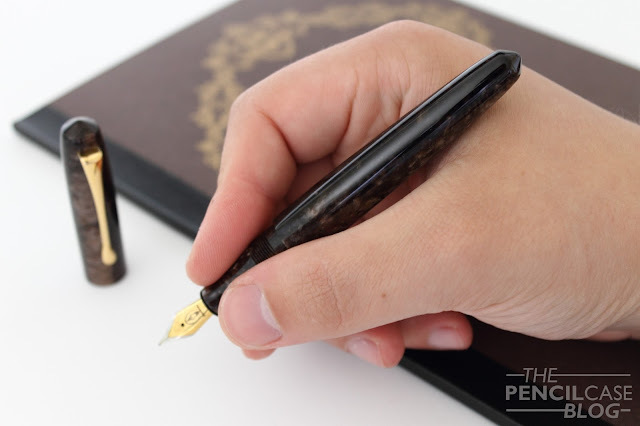 The nib has the stock JoWo design with a few flourishes and the two-tone plating, and the Edison logo is laser-engraved in the middle. Designwise, these are not my absolute favourite, but it's not exactly an ugly nib either. It lays down a crisp, line. But due to the relatively rich flow, it's still close to a western medium. 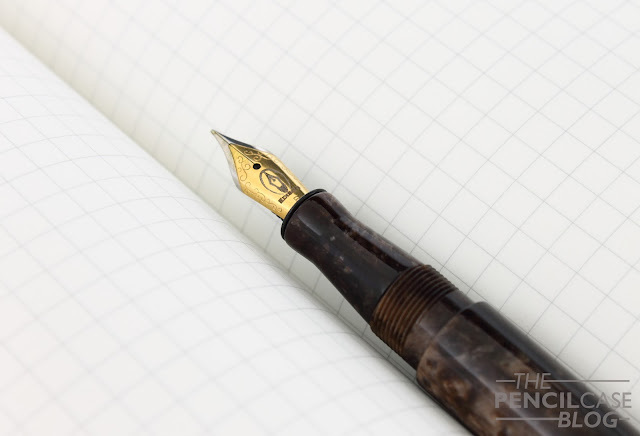 Being a fine nib, it gives some feedback when you write, but it's pleasant. It's a reliable, skip-free writer, but the steel nib has relatively little character (I generally prefer #6 nibs, which I find tend to have a bit more character to them.). 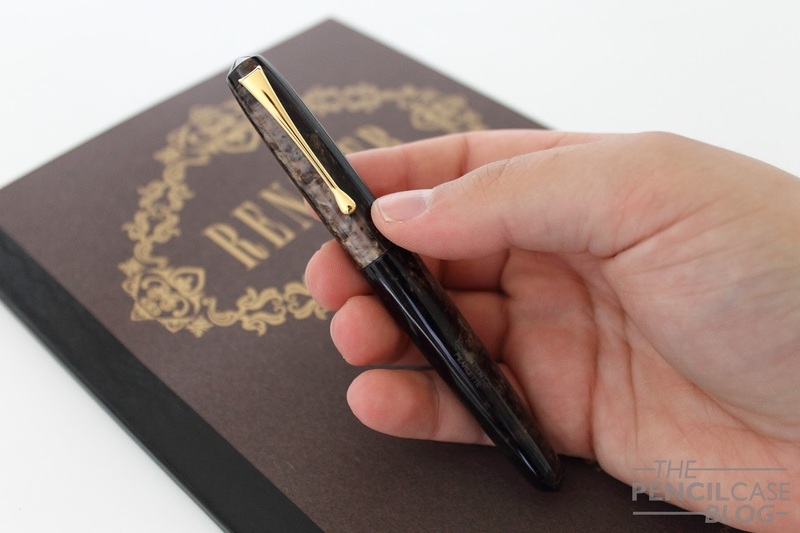 Every production model from Edison comes at the same price of 160 EUR (via Scrittura Elegante)/169 USD. On one hand that's not cheap for a steel-nibbed pen, on the other hand it's an affordable step into the world of 'bespoke' pens, or at least the closest thing to it! 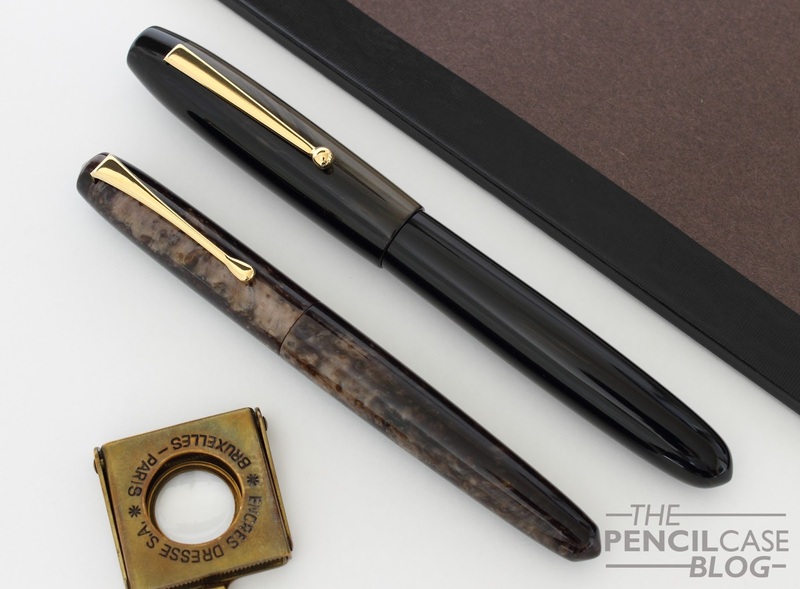 Scrittura Elegante is a sponsor of this blog. I received a discount on the purchase of this product, so I could write this review. I was in no way influenced in the making of this review, the opinions shared in this review are completely my own! This post does not contain affilate links.